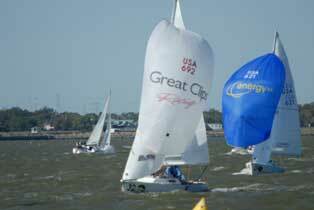 Sunlight shatters on whitecapped water as dozens of heeled sailboats slice through the spray. One particular boat, SheMight, jostles with competitors around the windward mark. As bright colors blossom to port and starboard, SheMight flashes out her own plain white spinnaker and dashes with the other boats toward the committee boat bobbing in the blue distance, marking the finish line. 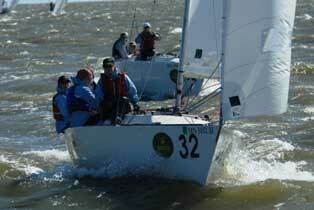 Sailboat races are common sights on Lake Minnetonka during Minnesota’s open-water season. What is uncommon, however, is the all-female crew and skipper that passionately race SheMight toward victory. These dedicated women belong to the Minnesota Women’s Sailing Team (MWST). MWST is a strong venue for women of all ages, backgrounds, and sailing experience to step boldly into the exhilarating sport of sailing and racing. A nonprofit organization established in 1995, the team actively competes in the Wayzata Yacht Club’s J/22 fleet on Lake Minnetonka. Some of the valuable opportunities that MWST provides their members are on-the-water training sessions for novice and advanced sailors, social cruises, team-building events, and guest speakers and workshops on various sailing topics. MWST’s goal is to foster leadership skills, encourage camaraderie, strengthen confidence, and increase skill levels for women sailors. Whether setting foot on the deck for the first time or competent captains already, women can hone their skills and have fun in a relaxed, supportive environment. Because MWST members found that the teamwork, problem-solving, and decision-making skills of competitive sailing gave them lessons which translated well into their daily lives, they founded “Women at the Helm” clinics. For the past seven years, these two-day clinics have proudly ranked as some of the most distinctive and exciting MWST events. The first session of “Women at the Helm” includes seminars by inspirational women sailors. Topics range from international sailing travel to boat ownership, solo cruising, team dynamics, and racing highlights. “Mostly it’s a chance for women to meet other women sailors and be inspired by the fantastic sailing adventures that local women have been on,” Willcutt explains. The second session of “Women at the Helm” is on-the-water training that allows every woman a chance to steer a boat and work on basic boat handling, with immediate feedback from a coach. Last year’s events also included a social grill-out, a raffle, and t-shirts. This year’s “Women at the Helm” events are scheduled for June. SheMight splashes into the water in April, classes start in May, and racing usually continues from May into late October. Although the MWST hosts fun activities to help team members stay connected during the bitter winter months, summer racing is quite obviously the mainstay of the team experience. Members have the chance to compete at the Wayzata Yacht Club, the Minnetonka Yacht Club, as well as at regional and international regattas. In fact, at their annual banquet and award ceremony, the Wayzata Yacht Club formally recognized the MWST and SheMight for having participated in 56 races last season-more than any other boat in their J/22 fleet. 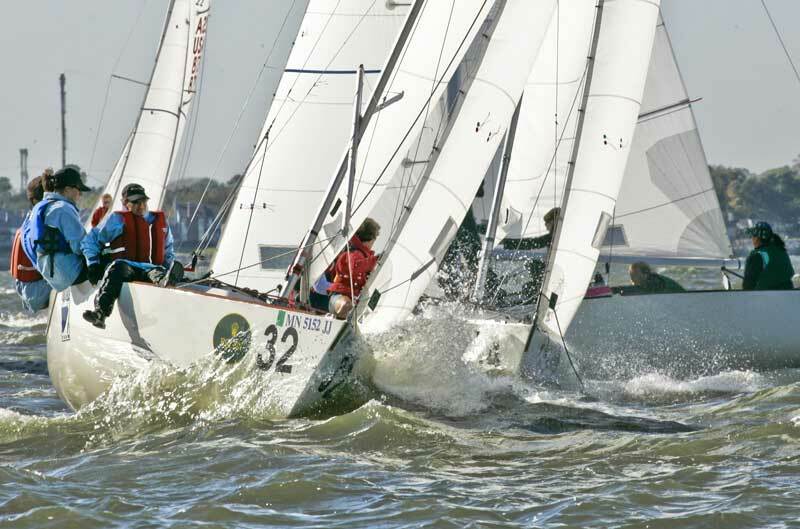 Furthermore, last November four MWST members trailered SheMight down to Houston, Texas, and competed in the Rolex International Women’s Keelboat Championship. Offering high-quality racing and international recognition, this biennial regatta is generally regarded as the premier women’s sailing event in both the United States and worldwide. With 11 races in four days, competition was tough. 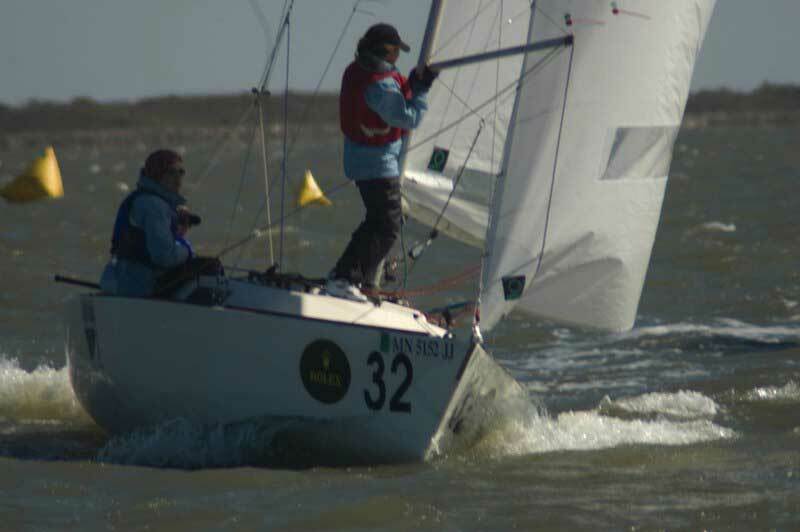 At least three of the 41 boats entered in the regatta were hopefuls for the 2008 Olympics. SheMight held her own; however, and MWST came in 29th overall (barely missing 28th). The team had several impressive races as well, finishing 14th, 15th, and 17th. All contents are copyright (c) 2007 by Northern Breezes, Inc. All information contained within is deemed reliable but carries no guarantees. Reproduction of any part or whole of this publication in any form by mechanical or electronic means, including information retrieval is prohibited except by consent of the publisher.